Amsterdam's Patta and Converse First String unveiled a new collaboration today, featuring two Cordura-equipped versions of the classic Pro Leather. 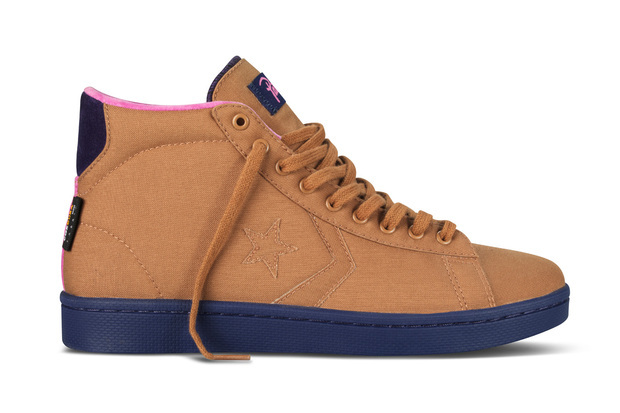 The Patta x Converse First String Pro Leather Hi utilizes a tan Cordura nylon upper, along with a pink velour lining and a purple sole unit. 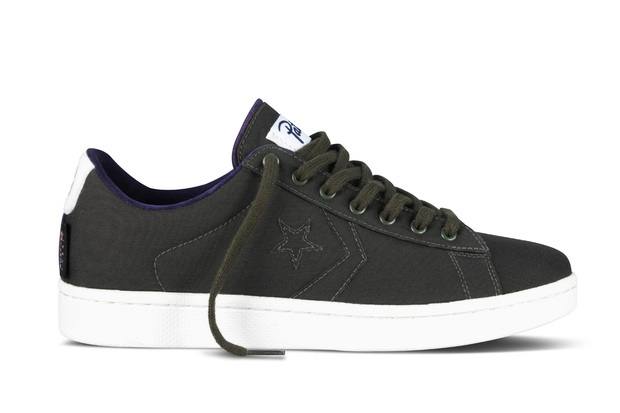 The accompanying Pro Leather Ox features a green Cordura upper, along with a purple velour lining and a white sole. The gardening-inspired Patta x Converse First String Pro Leather collection will release at select Converse First String accounts on October, 27.